The M18 Six-Pack Sequential Charger offers a compact design, integrated hang holes for vertical mounting and a pass-through plug to conserve outlet space. With this new six-pack charger, users can reduce the amount of time spent changing out batteries, increasing productivity on the jobsite. I really like this tool and I love dealing with CPO. They are quick to mail. Last two tools I ordered I received in 3 days. I will order all my tools through them from now on. Great charger. We have a few of them. We are a Milwaukee shop and use drills, saws, and everything is cordless. I will replace all of ours the day you come out with a six up Packout charger. I am sick of digging for the chargers and want ones that just come in with us to the job site. I really like the fact that I can charge six batteries in the same charger, a great concept. This is perfect for people constantly using there tools or the DIY people who want to have everything charged up ready to go! 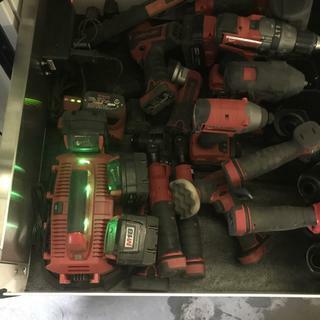 Sometimes you have 2 or more tools going at a time so being able to have multiple batteries on one charger makes for an easy day!! Keeps all my battery’s charged great,very handy an useful. 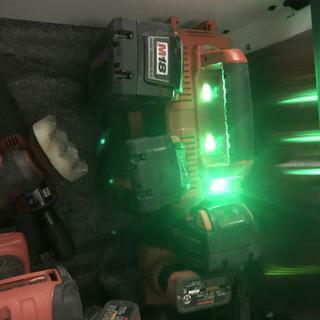 We use multiple cordless tools all day an when I need a battery there’s one all charged an ready. Six charged at on time is awesome. Quickly charges dead batteries...never have to slow down on the job site to wait for the batteries to charge up. Would recommend this welcomed addition to anyone who happens to be a milwaukee tool fan! I don’t use my single charger any more after I got my 6 place charger . I have mine in my toolbox and it will charge all 6 battery at the same time. Hope that helps you. The unit will actually only charge 1 battery at a time. So you can have 6 dead batteries on the charger, but only one will charge at a time, not good for a big worksite. Sufficient number of ports to charge heavy duty 18v Milwaukee Red Lithium Batteries (6 ports), easy to carry around when needed. Can you charge the new 5.0 through 12.0 batteries with this charger? Will this charge 9.0 batteries ? BEST ANSWER: Model 48-59-1806 will charge the 9.0 Amp Hour Batteries. Can I substitute a 6 port charger for single charger with battery powered 10 Inch miter saw? BEST ANSWER: I don’t use my single charger any more after I got my 6 place charger . I have mine in my toolbox and it will charge all 6 battery at the same time. Hope that helps you. BEST ANSWER: Yes, I do believe it does.